Announces California headlining dates for 2019. Weyes Blood’s new song, “Andromeda,” her first recording of original material since 2016’s acclaimed Front Row Seat To Earth, is now available worldwide from Sub Pop in all the digital places. “Andromeda” plays on a few themes (mythology, astronomy, technology), and is ultimately a love song about finding something long-lasting in an ever-changing world full of distractions, unrealistic expectations (“looking up to the sky for, something I may never find”) and past disappointments. 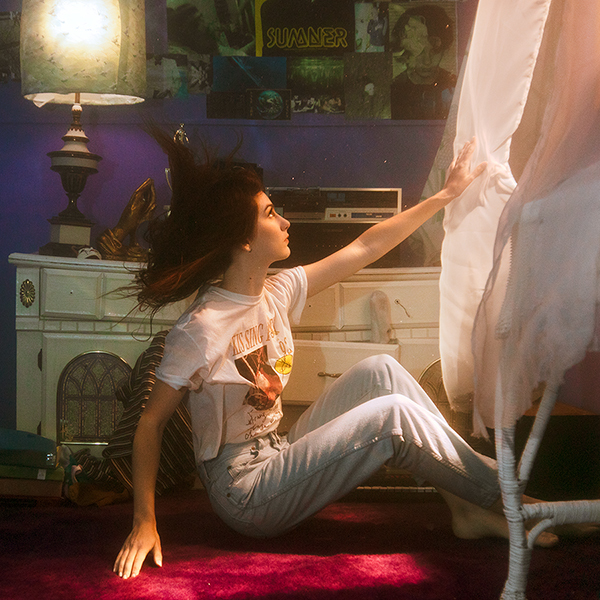 “Andromeda” was written and composed by Weyes Blood’s Natalie Mering, co-produced by Mering and Jonathan Rado, and mixed by Kenny Gilmore in Los Angeles. “Andromeda” will be found on her highly anticipated fourth album, due out later this Spring worldwide from Sub Pop. Weyes Blood has scheduled four California shows this spring, beginning April 1st in Fresno at Strummers and currently ending April 4th in Los Angeles at the Masonic Lodge. Tickets for these shows go on sale Friday, January 18th at 10 am PST. Additional dates will be announced soon.